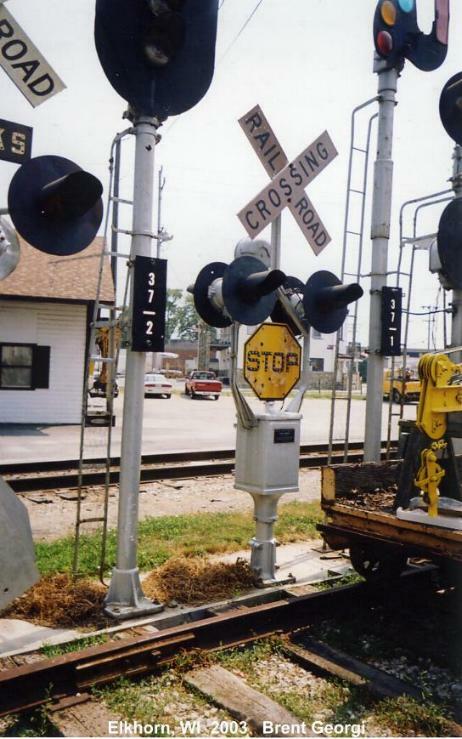 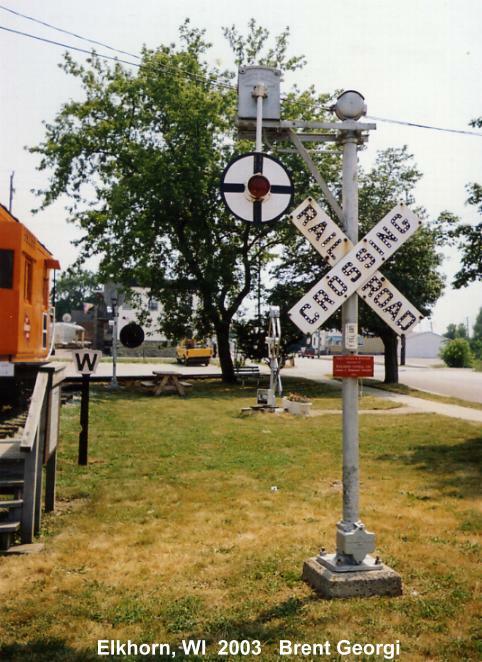 a handful of semaphores and block signals. 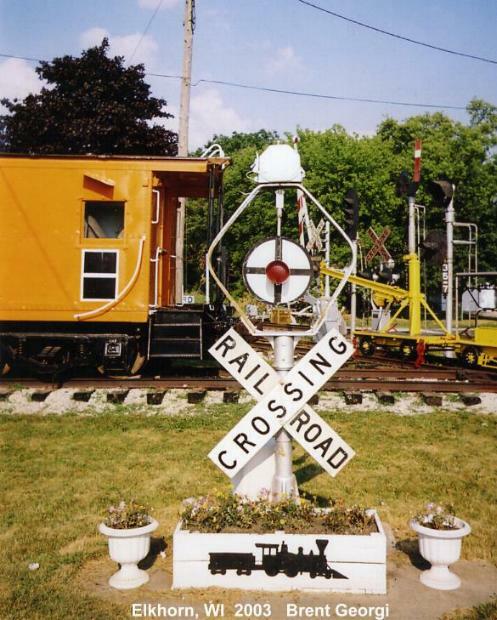 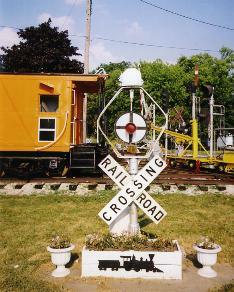 The caboose is open on Sundays from 10am-3pm. 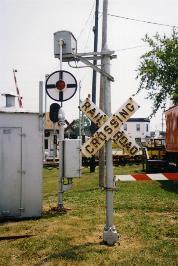 These 2 Magnetic Signal Company lower quadrant wigwags came from Salem Rd. in Salem, WI. They were donated by Wisconsin Central in 1992.
motor boxes on these wigwags is from Minneapolis.